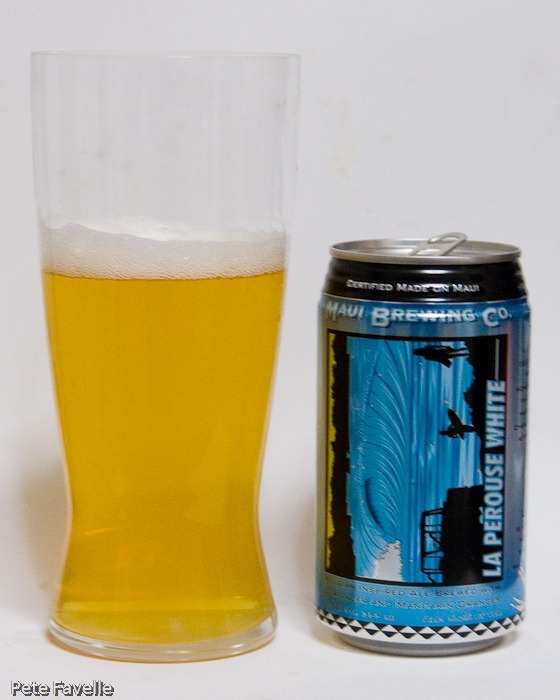 Maui Brewing Co are one of those American breweries that seem to show up in a lot of craft beer places in the UK – often, as in this case, in can form. 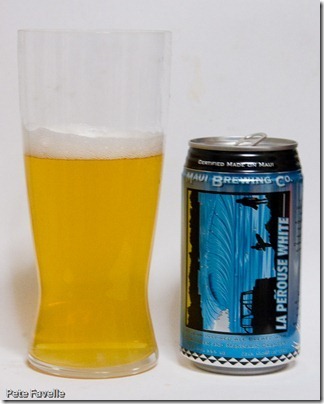 This is their La Perouse White, a Belgian-style wheat beer. It certainly looks the part, a pale straw colour with just a hint of murk and a thin fine-bubbled head on it. The nose has a hint of sweetness, but primarily the aroma is overwhelmingly of coriander; that slightly dank, green herb smell that heavy handed coriander seems to produce. It’s the main player in the mouth too; there’s a nice fresh citrus sweetness and that slight sourness from the wheat but the coriander is everywhere, washing over all the other flavours. Great if you like that style; not one for me.